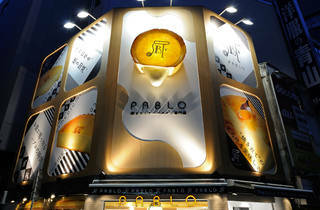 After building a devoted following in Osaka, cake shop Pablo opened its first Tokyo branch at a prominent location on Shibuya's Center Gai at the start of March. 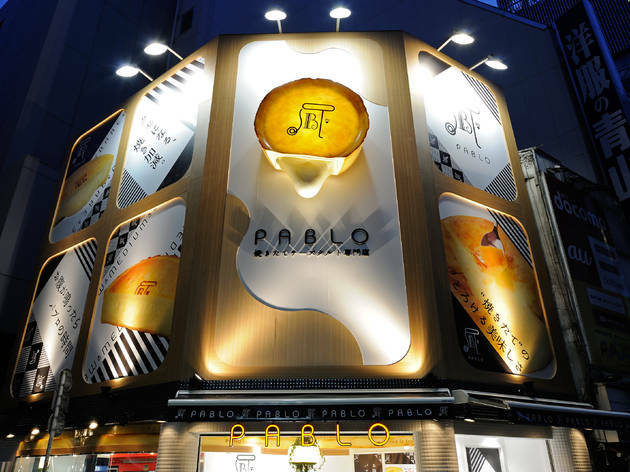 The speciality here is sweet, fluffy cheese tarts, available rare – with a gooey core that oozes out when you cut it open – or in a slightly firmer, 'medium' version; both cost ¥780, and are made for sharing. The shop also sells rare cheese sablé biscuits, mille-feuille and a ¥1,500 'premium cheese tart' that's only available in limited quantities each day.